“Diamond in the rough”. “Fixer upper”. “As is”. Sure, there’s more than one way to spin the description but only one way to make a neglected stone home livable again: a lot of elbow grease, patience and plenty of padding in the mortgage for renovations. But these three historic properties may be worth the extra effort it takes to modernize and mend poorly thought-out “improvements”. Take a peek and tell us how you’d update each home if you had the means to take on ownership. This stately circa-1808 Federal-style home is located in historic Pottstown, Pennsylvania, a borough just 32 miles northwest of Philadelphia. The home was built by a prosperous farmer in the Levengood family and originally sat on 130 acres of land. Evaluated by architect Daniel T. Campbell in late 2012, the home features a stucco-over-brownstone exterior and boasts its original paneled wood doors and cabinets, lathe-turned stair woodwork and hand-planed moldings, chair-rails and floorboards. The five-bay, center-hall plan with two through-parlors, a north-south gable roof and gable-end fireplaces features both a basement and spacious attic, plus summer kitchen. What’s not to love? Beauty is in the eye of the beholder, as they say, and we see so much potential in this old stone beauty, located in Hampton Township, New Jersey. Yes, the interior needs a major overhaul, but the exposed beams and open basement hearth provide such wonderful inspiration. 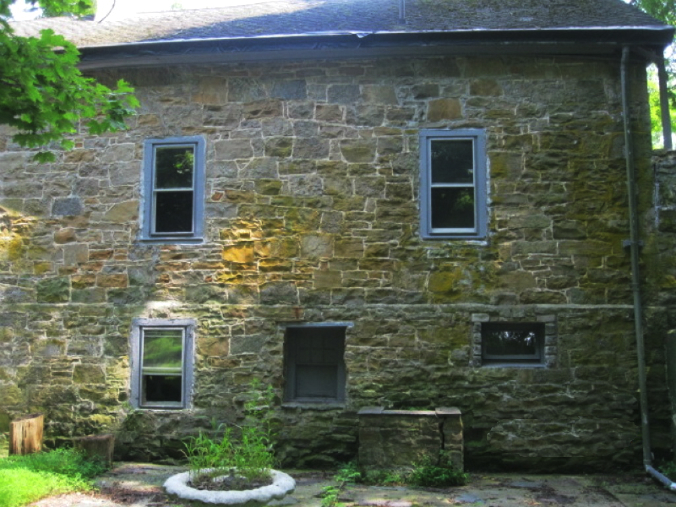 Plus, this circa-1790 home offers four bedrooms and sits on 25 acres of land. Oh heaven, will someone please adopt this home? 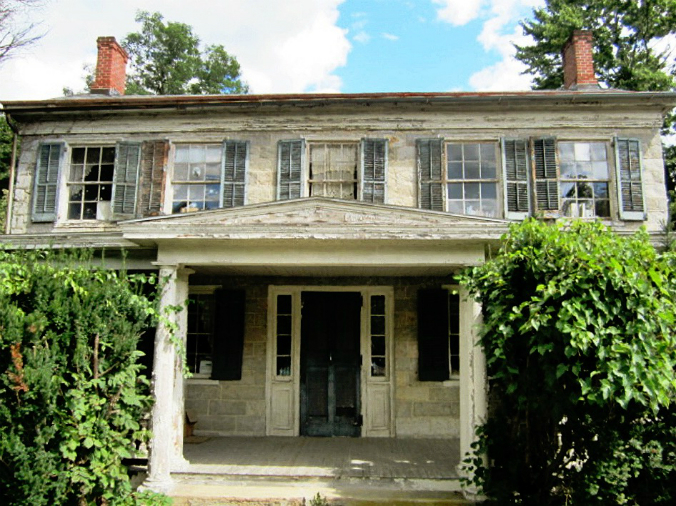 This circa-1830s three-story limestone home is situated within the historic Moravian village of Hope, New Jersey. Close to an old stone gristmill and a meeting house, the home boasts original trim and two original fireplaces. The property would require vision and someone with a passion for historic preservation but the pay-off could be priceless. ← What’s Your Old Stone Home Style?